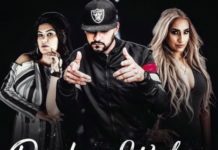 Sohne Mukhde Lyrics – Kadir Thind Makhan Malai Sohne Mukhde Katon Hooye Ne Naraz Das Deyo Is New Punjabi Romantic Song Sung By Kadir Thind. Song Is Composed By Tedi Pagg And Lyrics Are Penned By Ekraj Khanuwan. Song Is Released By T Series Apna Punjab On 24th Aug. 2018 . Enjoy The Lyric And Video Song Of Sohne Mukhde By Kadir Thind. Saddi Galti Janab Dass Deyo..
Mundaa Ehh Sohniye Pure Kach Daa..